shaft yoke (2) into mating yoke (1). a. Put cap (3) into finger (5). b. Place wood block on cap (3). strike on block to seat cap (3). d. Do the same for lower cap (4). 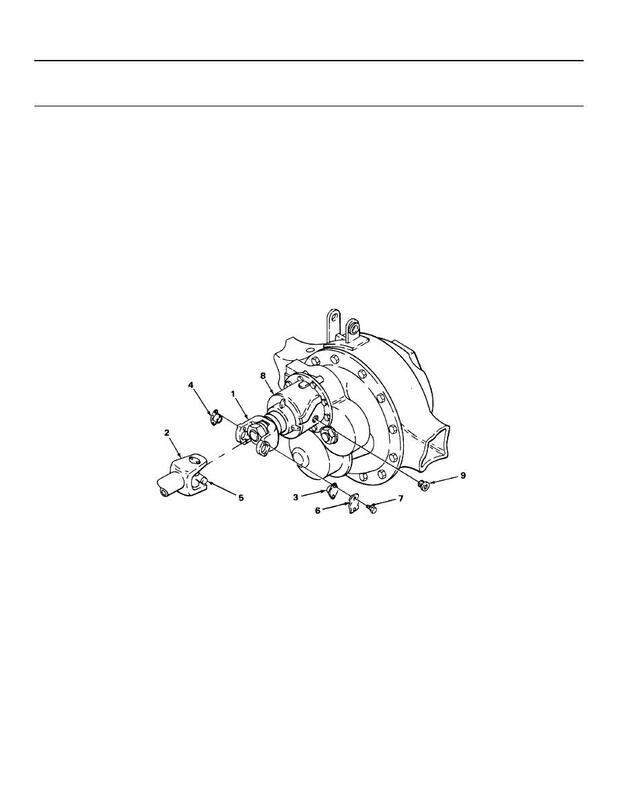 Lubricate interaxle differential (LO 9-2320-269-12).